When-To-Go: Wednesday – Friday, 5 – 9 p.m.; Weekends, noon – 9 p.m.
I’ll Be Back…: To create my own blend to take home with me! I don’t know about you, but whenever someone starts talking about wine tasting in California, Los Angeles isn’t the first destination that comes to mind. Sure, there are a handful of places that offer both traditional and off-the-beaten-path wine experiences in the city — San Antonio Winery, Ugo Wine Bar and Malibu Wines — but for the most part, it’s the well-known wine country regions that are mentioned, like Napa, Sonoma, Santa Barbara, Temecula and Paso Robles. But, there’s a brand new wine establishment that’s trying to change all of that, by bringing more wine culture to Los Angeles. 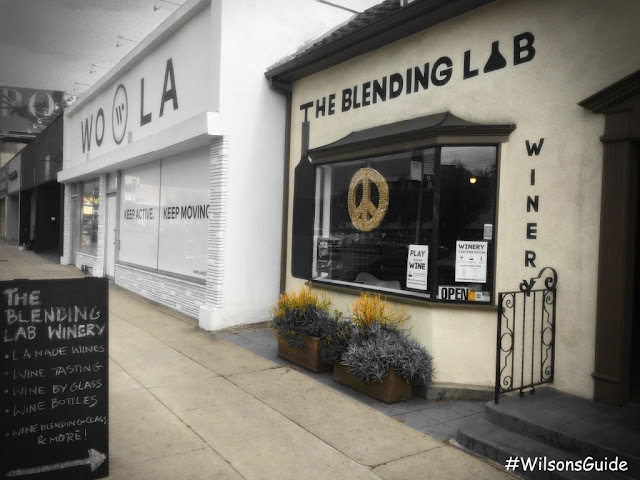 Opened slightly over a year ago, The Blending Lab is a no-frills, off-winery wine tasting room that’s proudly serving up reds and whites that were created right in the Los Angeles area. The team sources its grapes from various vineyards in Paso Robles and then finishes the rest of the winemaking process at its facilities in Valencia, before bringing the final product to its wine tasting room right on Third Street near the Farmer’s Market / The Grove. Within the tasting room itself, vibes are very casual, and the décor is minimal with concrete floors, black stools and exposed black ceiling beams. The Blending Lab offers eight single varietals and four blends, featuring more reds than whites. You can test them out through a $15 tasting that comprises three 2 oz. pours or take them home with you by the bottle. And, you can even take a wine blending class to make your very own blend! 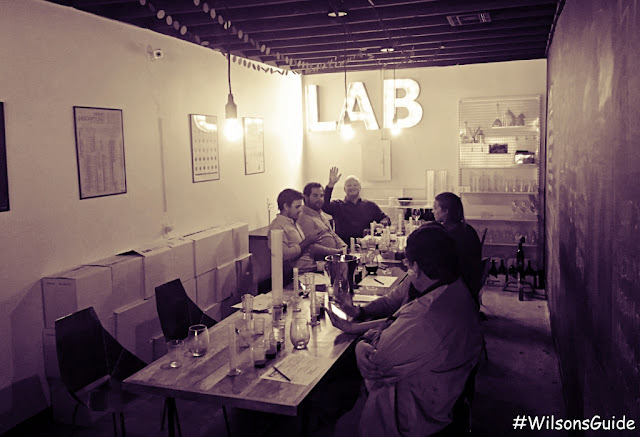 Classes are held in the back room — the “Lab” — every Friday at 7 p.m. and at noon and 3 p.m. on Saturdays, holding no more than 12 people. For about two hours, owner Michael Keller takes students through a journey on how to taste wine and find the type you like, all to ultimately experiment with making your very own unique blends to enjoy. 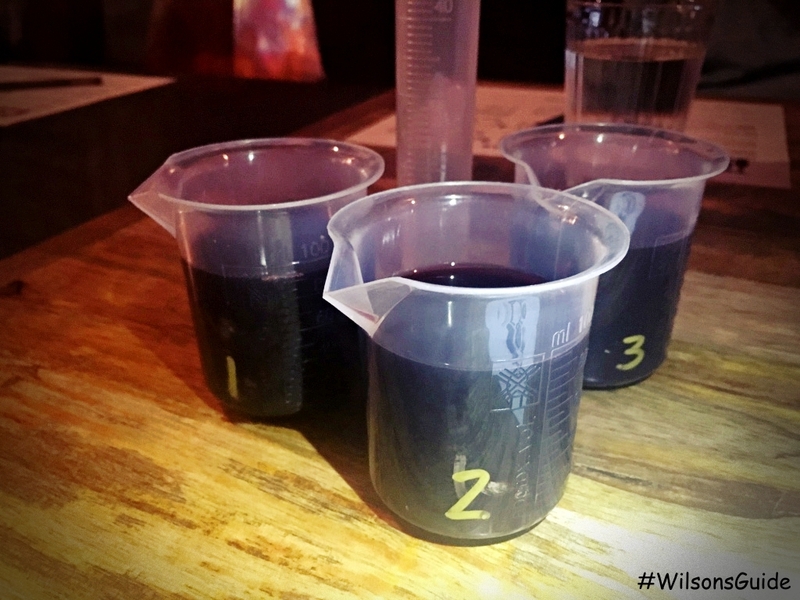 Each student receives three different varietals in mini-plastic beakers, a graduated cylinder and a tasting sheet to take notes. Class kicks off with everyone having to guess which each wine is, before Michael goes more in-depth into the main characteristics of wine — color, smell and taste. What I truly appreciated at the class I attended was the emphasis was on fully understanding how to experience wine (Hold the glass against a white background! Four quick sniffs to smell! Notice how much you salivate!) so that ultimately, you can figure out what you like, whether it’s more body, more acidity, more sugars, etc. That's knowledge I'll remember, long after the class is over. Towards the end of the session, guests are encouraged to mix and match the three wines at different percentages to find their very own perfect blend. 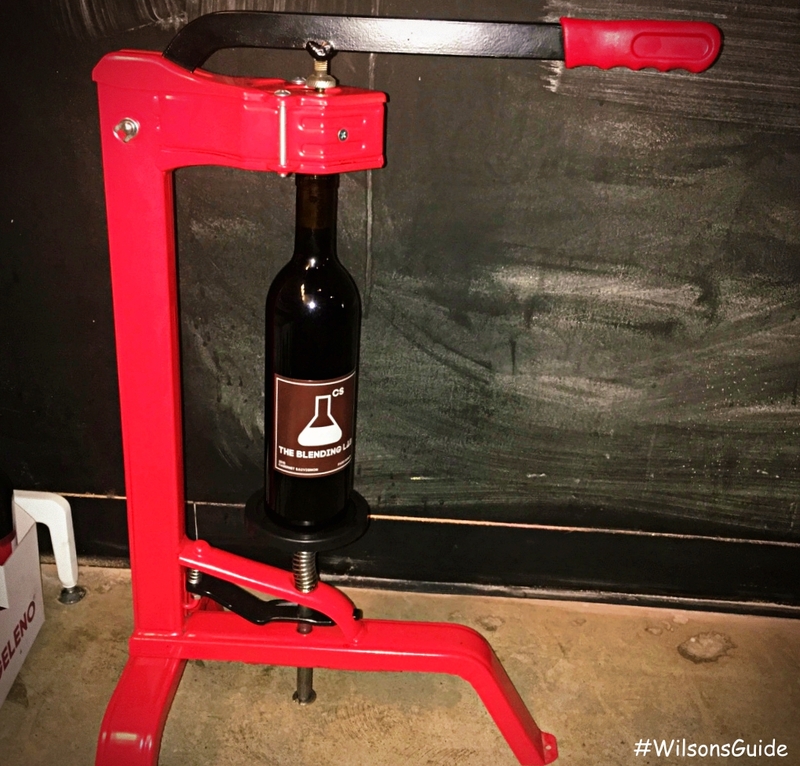 And should they find that perfect blend, guests can take a bottle of it home; there’s actually an onsite corker right in the back of the room, pictured below. 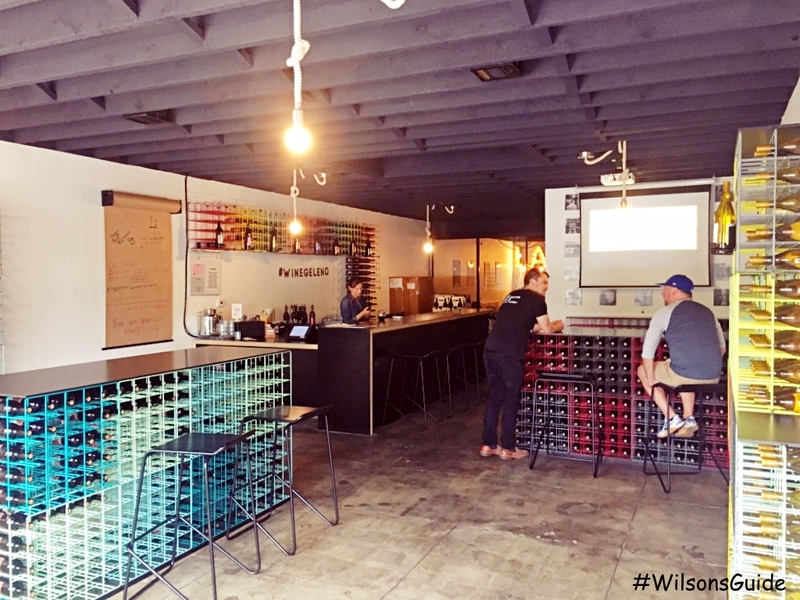 I walked away not only with my own fabulous blend of “Wilson’s wonderful wine,” but definitely feeling more confident in how to taste wine, for that next time I go wine-tasting. 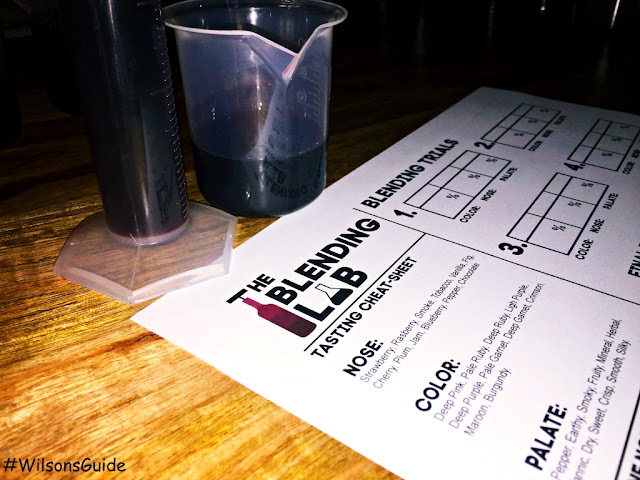 So the next time you’re looking to sip and savor a bit of wine, but don’t feel like trekking out to Temecula or Napa, consider heading to The Blending Lab, and even taking a class there. Disclosure: I received complimentary admission to a wine blending class; all views and opinions reflected are my own and not influenced by any other third-party sources.